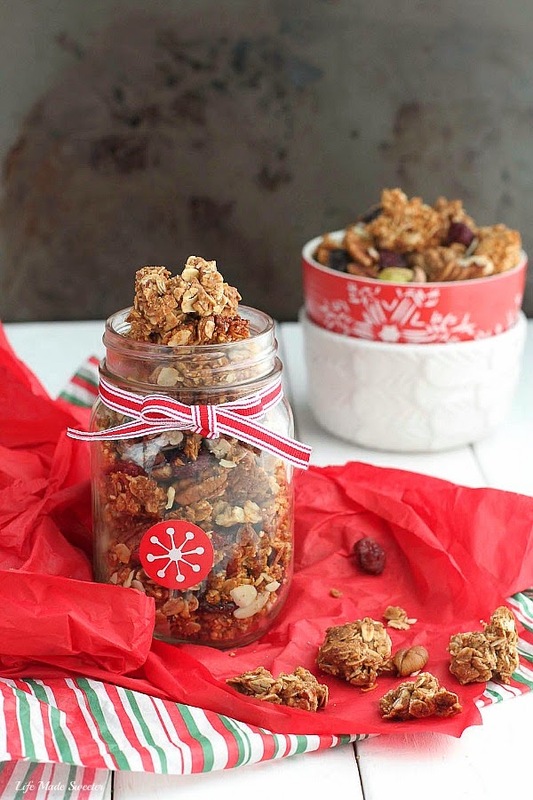 Gingerbread Granola Clusters make the perfect festive snack with all the classic gingerbread flavors. I love making a big batch of homemade granola and usually change up the different flavor variations for us to snack on through the week. 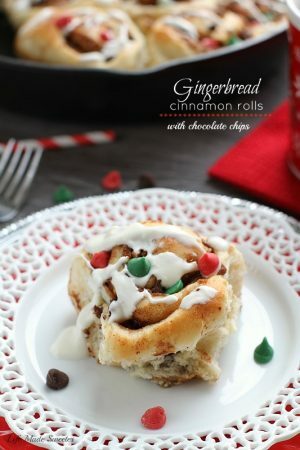 It’s so much healthier than anything from the store plus it’s so easy to make! 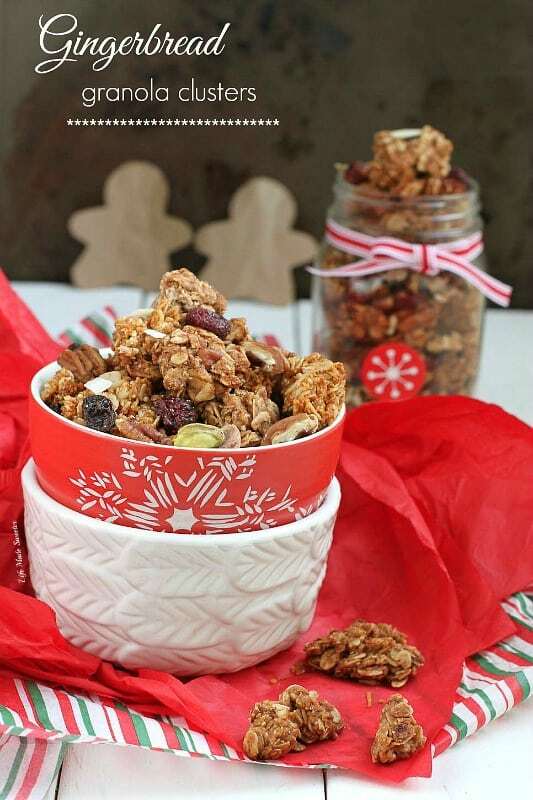 This gingerbread granola is a great way to start off the day with a warm and Christmas-y feel. It has all of the classic gingerbread flavors with a nutty crunch in every bite. To get the giant clusters takes a little bit more patience. DO NOT break up or stir the granola while it’s baking. Let it do it’s thing in the oven for 40 minutes and rotate the pan halfway, then remove from the oven and allow it to cool completely in the pan for at least 30 minutes. Once it’s cool down, then you can break up the pieces as large or small as you like. 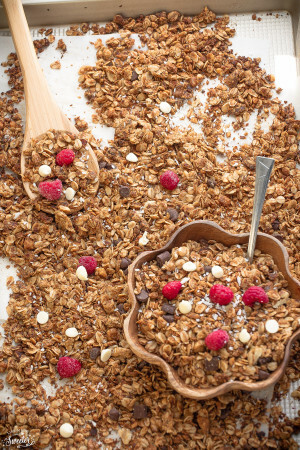 I can never resist picking out the clusters first whenever I’m around a bowl of granola. Divide them out and package them up to hand out to share with your friends and family. 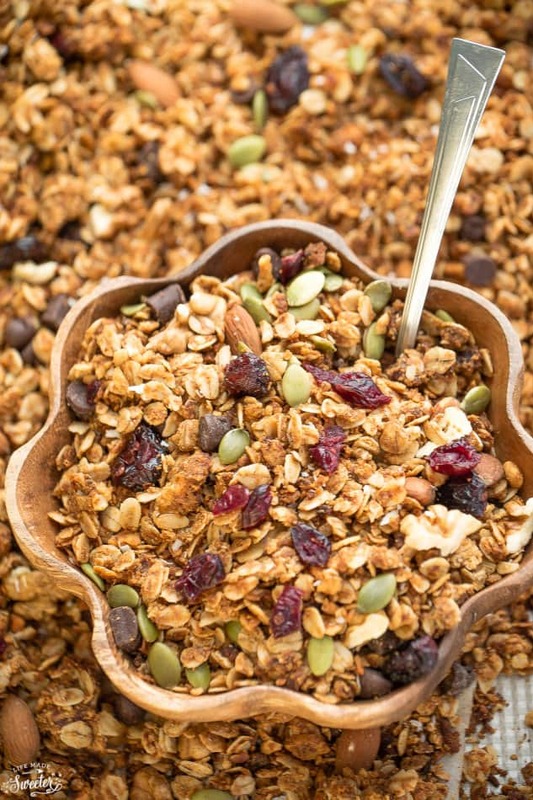 These would make great gifts for any granola lover. That’s if you can resist not snacking on them before they’re all gone. 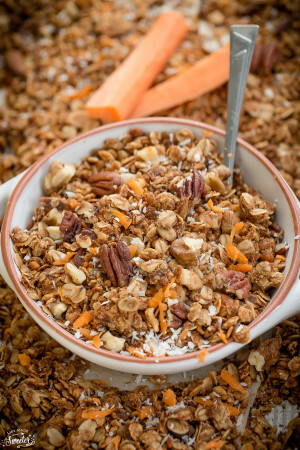 Start your morning off with all the flavors of classic gingerbread in a spiced and flavorful granola with big crunchy clusters. Preheat the oven to 300 F. Line a large baking sheet with parchment paper or a silicon baking mat. Set aside. In a very large bowl, mix together the oats,oat flour, almond meal, baking powder, cinnamon, ginger, cloves, nutmeg and salt. Set aside. In a small saucepan on medium heat, warm the molasses, maple syrup and coconut oil until has melted - whisk until well combined and remove from heat. Whisk in the vanilla extract. Pour the molasses mixture into the dry ingredients and toss to combine. Spread evenly onto baking pan and press down the granola with the back of a wooden spoon or spatula to flatten it out to stick together. That will help create the clumps to make crunchy clusters. 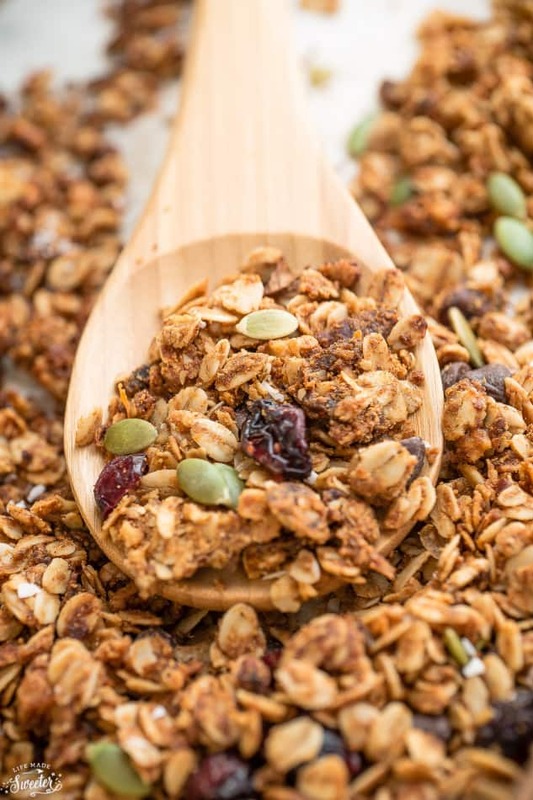 Once baked, remove from oven and allow granola to sit and cool completely for another 30 minutes. Break apart any very large pieces to the your preferred size. Once completely cool, mix in pistachios, pecans, almonds, dried cranberries or add-ins of your choice. Store in an airtight container at room temperature.